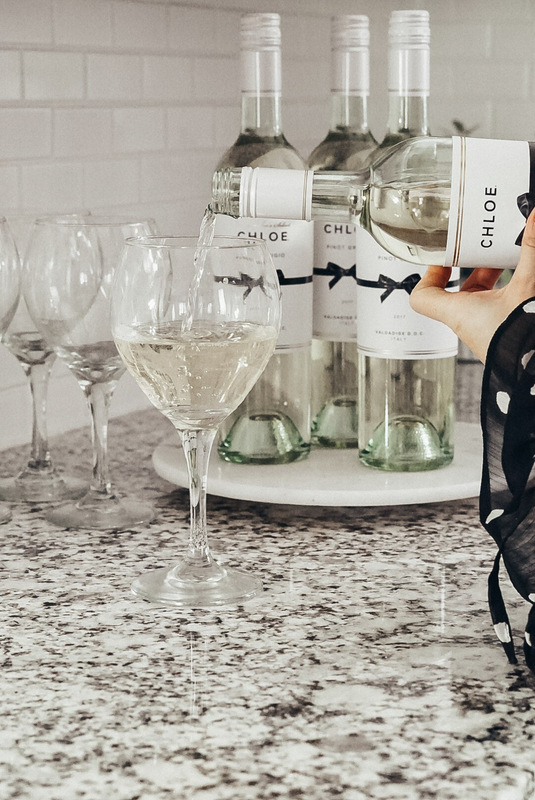 Disclosure: This post is sponsored by Chloe Wines. I recently hosted my sister’s 35th birthday dinner at our house. Granted my family would still love me even if my hosting skills were subpar, BUT, it definitely requires a good amount of work to pull off a successful evening. 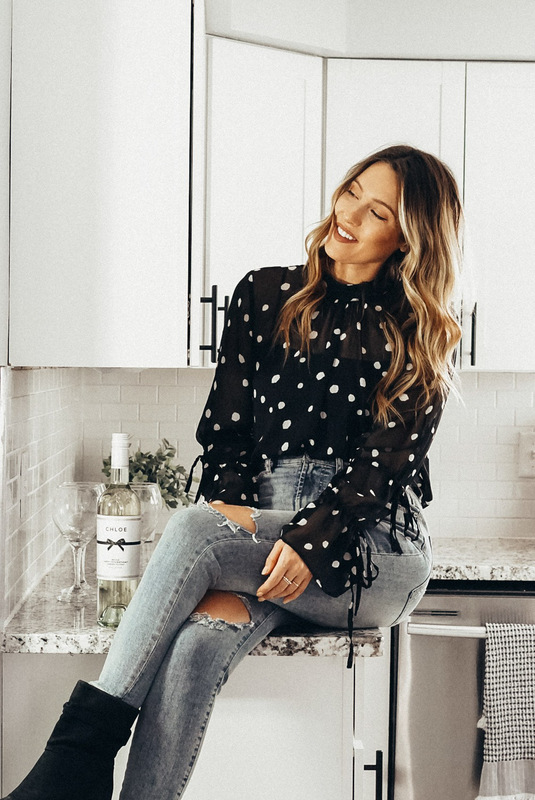 I’m here today to share my tips for hosting a fabulous birthday soiree while remaining cool, calm, and collected! Prepare. First and foremost, tally up your estimated headcount. 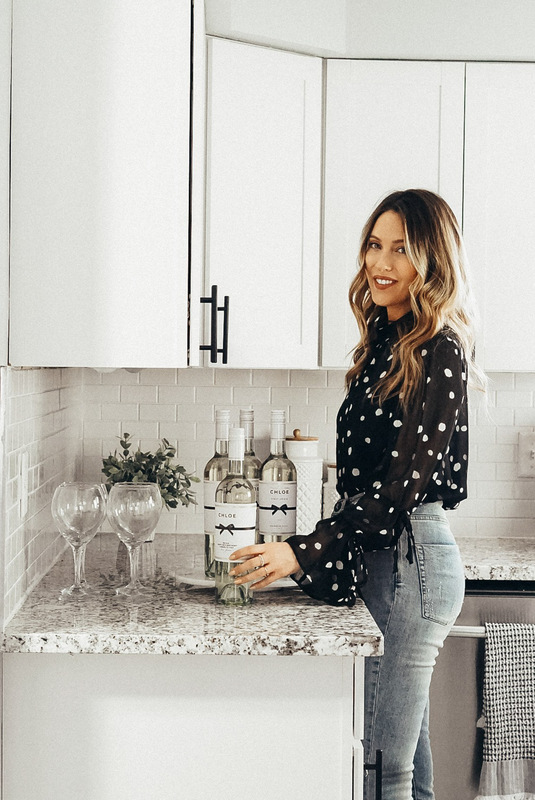 Figure out what you’ll be serving then make your to-do list as well as your wine, beer, liquor, and grocery store lists. Preparation is key and will give you enough time to catch anything you may have missed for the party. Clean and set up as much as you can before your guests arrive. You don’t want to be frazzled when you hear the first doorbell ring! Keep the birthday girl/boy in mind. Whether that means serving his or her favorite appetizer, entree, or beverage, make sure you add some personal touches to the evening. It won’t go unnoticed! 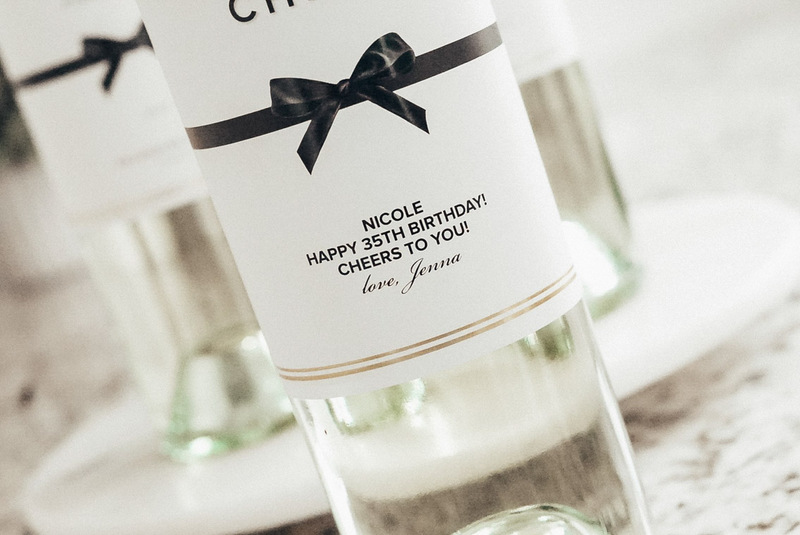 I gifted my sister a beautiful bottle of Chloe Wine Pinot Grigio with a custom label that I crafted on their website. I think this is such a great gift idea for anyone in your life on any special occasion. 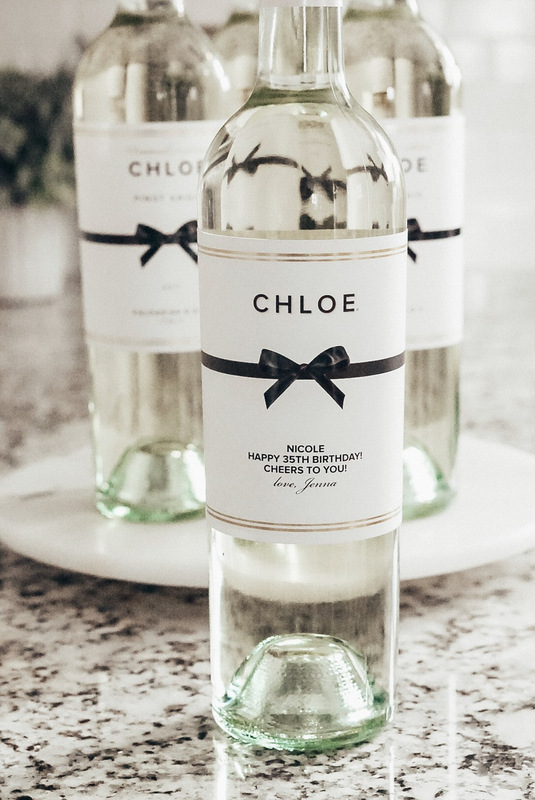 Check out Chloe’s Custom Labeling here… it’s free and so easy! Don’t forget Valentine’s Day is approaching quickly… hint, hint. But also think about everyone. It’s important to keep the rest of your guests in mind when hosting a party. Does anyone have any dietary restrictions? Allergies? Serve an array of snacks and drinks so there’s something for everyone. 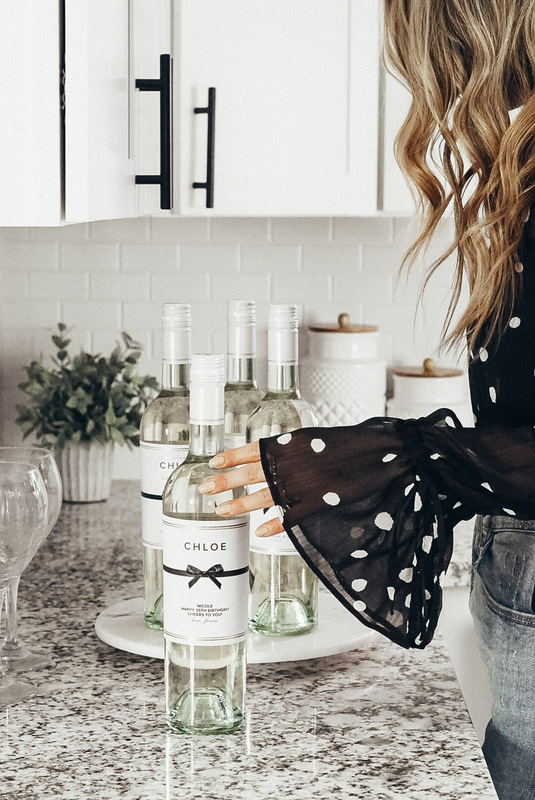 My go-to is always Chloe Wines because their collection includes everything from Prosecco, Pinot Grigio, Chardonnay and Rosé to Pinot Noir, Merlot, Cabernet Sauvignon and a Red Blend. The bottles are classic and gorgeous and serve as a great decoration for your bar cart or as a display on your countertop.. 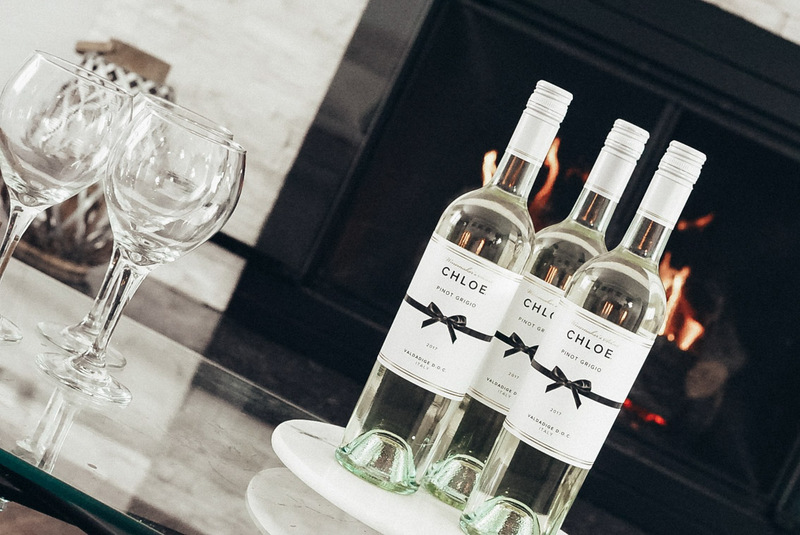 I personally love Chloe’s Pinot Grigio which has hints of juicy white peach, melon, crisp apple, honeysuckle, and lemon! Keep it simple. I love an all-app party (who doesn’t love appetizers?!) because it’s easy and creates a more casual, chill environment. But if you are opting to serve a full meal, let your guests help themselves. This will make your life easier (less scrambling around with heavy platters and dishes) and allows your guests to make their own plate and go back for seconds when they wish! Set the mood. Light some candles and pop on some music. We love having our new fireplace blaze in the winters when we have people over the house! What are your best hosting tips? Do share! For more info or to find Chloe near you, click here or check them out on IG and Facebook!